The quickest and easiest way to make sure your external webcam can’t be used to spy on you is to disconnect it either from your computer, or the mains. Without power, a webcam won’t work, so if you’re not using it, keep it unplugged. Passwords are usually the weak spot of any supposedly secure system and webcams are no different. 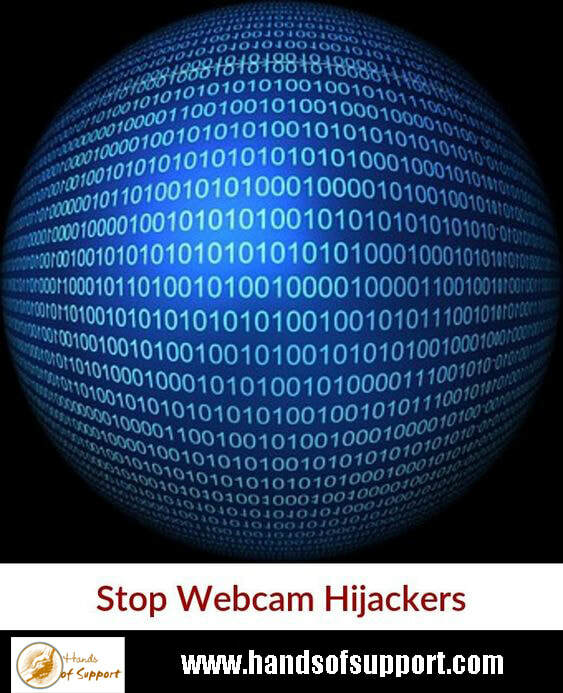 A webcam that connects directly to a wi-fi network (usually called IP cams) will have a video feed and settings page that’s protected by a username and password. Many people don’t bother changing these from their defaults, which is an open invitation to a hacker. So now is a good time to review its security settings — and make any necessary changes. The most insidious form of webcam hacking involves a RAT — a ‘remote administration tool’ that allows a hacker to take control of a PC and its built-in webcam. RATs are usually installed as part of a wider malware infection, but there have been cases of criminals installing them on computers they then sell to someone else. The best way to prevent this is to keep your operating system and web browser up-to-date and perform anti-malware scans on a regular basis. BT Web Protect is available to all BT customers, warning if you are about to visit a harmful website. Security software BT Virus Protect is now free to BT customers. Find out more about both in the box below. It’s important to keep other software up to date, too (particularly Adobe Flash) and avoid downloading dodgy software from questionable websites. Most relatively recent laptops also have a light next to their built-in webcam to indicate when it’s in use. If you notice that yours lights up when you’re not using the webcam, that’s usually a sign of something suspicious, so you should assume your PC is infected and take any necessary steps to disinfect it. Hardware manufacturers will often releases software updates which can include security fixes, so it's really important to ensure a standalone webcam runs the latest software. Make sure you sign up for updates or regularly visit the manufacturer's website and download any updates. PCs connected to a home network should be protected by a firewall, a piece of hardware or software that acts as an extra safety net by monitoring incoming and outgoing network traffic for signs of unauthorised access attempts. Some security and antivirus software, such as BT Virus Plus, has its own built-in firewall. Once you’ve taken the steps above, make sure you take precautions in how you and your family use webcams. Avoid conversations with people you don’t know and don’t use webcams in your bedroom or any room of the house where private activities take place.